I am so excited to share this recipe with all of you today! What is that, you might ask? Basically, Cinnabon sent me some free products to come up with my own recipe creation, and share it with all of you! They also sent me a bottle of Cinnabon Cinnamon Roll syrup. O.M.G. this stuff is like crack. As Elf would say, “it’s part of the 4 major food groups. Candy, Candy Corn, Candy Canes and Syrup.” And it tastes like a cinnamon roll. Weird, but delicious. So, on to my recipe. I love making fudge. 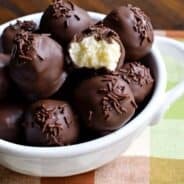 Look at my recipe page, there are quite a few choices in my box. I used my root beer fudge as the base of this recipe (without the rootbeer of course). Once you know how to make fudge, you can make almost any flavor! I think I can even eat these for breakfast. Right? They are Cinnabon flavored…. 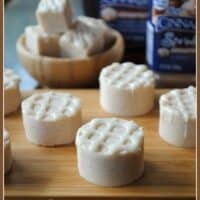 Cinnabon Fudge: delicious, creamy cinnamon sugar fudge! Line a 13x9 glass baking dish with parchment paper. Set aside. In a large saucepan, heat granulated sugar, butter, salt, 1/4 cup Cinnabon sprinkle and heavy cream until combined. Bring to a rolling boil and stir continuously for 4 minutes. Remove from heat. Quickly stir in white chocolate morsels, marshmallow cream and 2 Tbsp Cinnabon sprinkles. Whisk vigorously until smooth. Be patient, this may take a couple minutes. Works best with an electric mixer. Pour fudge into prepared pan and refrigerate 3 hours, until hardened. Remove from pan, remove parchment paper and lay fudge on a cutting board. Cut into circles using a 1 1/2 inch circle cookie cutter, or cut into small bite sized pieces. To make drizzle, whisk together the powdered sugar, Cinnabon syrup and heavy cream until smooth. Pour into a ziploc bag, and snip a tiny piece off the corner. Drizzle over cut pieces of fudge. Sprinkle immediately with remaining 1 tsp of Cinnabon sprinkles. Place fudge back in refrigerator until icing hardens, about 15 minutes. Enjoy cold! Keep fudge stored in airtight container in refrigerator. ENJOY! Disclosure: I received the Cinnabon products used and was entered for a chance to win a Cinnabon Creations prize package in exchange for this post. No monetary exchange took place. All opinions are my own. Ok, this seriously was AMAZING, Aimee!!! I wanted to cry when I ate my last piece from the bag that you sent home with me. But now I have the recipe:-) Yay!!!! Just means I need to find where to buy the Cinnabon goodness now!!!! Until then I am going to stare googly eyed over the awesome picture you captured!!! LOVE!!!! Holy cow! Fudge is my number one weakness! Then cinnamon rolls. This is awesome!!! I think you got the mother load. These look amazing. Just the thought of Cinnabon makes my mouth water. Good lick! I hope you win! This fudge? Gorgeous. I love Cinnabons! Oh my, they’re just about the cutest little things I’ve ever seen! I hope you win!! OMG, CONGRATS AIMEE! That’s SO exciting–I’m totally stoked for you for being invited and obviously, for being invited for something so deliciously awesome! Cinnabon syrup? Yeah, I don’t think that’d end up on my pancakes or waffles (more like straight from the bottle-into my mouth). This fudge looks rad and I love the cross hatch “icing” on top! You’re so creative! Thanks Hayley, it was fun to come up with something delicious! Good Luck ! I hope WE win !! I am drooling right now! This fudge looks amazing! I hope you win!!!!! I’m from the UK and love reading your post – we don’t have Cinnabon over here but it sounds delicious! I’m up to round 8(!!) of trying to perfect my own traditional vanilla fudge (read about my trials so far at http://www.hopsandhoney.co.uk) and think one more try with a little more beating might be enough to get it to set, but all tips gratefully received. Thanks to you and your readers for the ongoing inspiraton. Hey Adam, Im from UK too. What would we use in place of Cinnabon? never seen it in the shops. I wonder if Harrods stock it??? Now theres a thought!! I suppose you could try substituting a cinnamon/sugar blend (maybe using caster sugar since it’s very fine) for the Cinnabon Sprinkles. 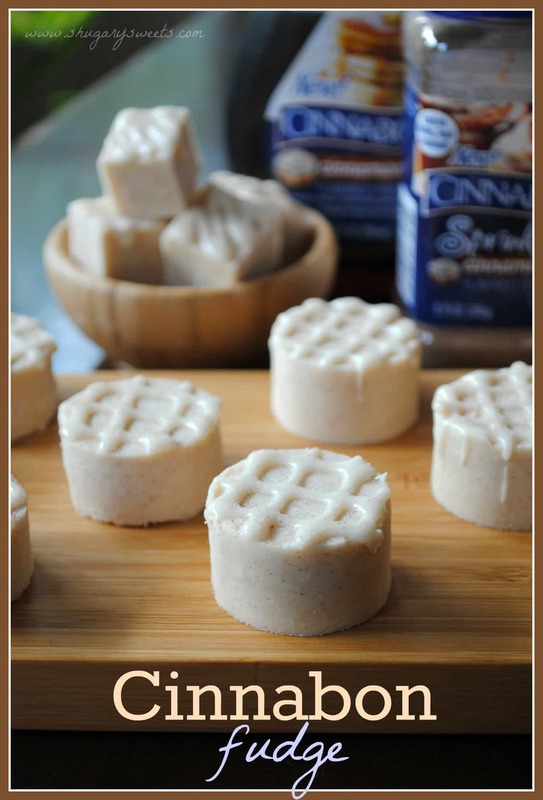 You could use regular syrup instead of the Cinnabon syrup, but you would lose a little of that cinnamon taste, so add in a pinch of extra cinnamon to your icing. Won’t taste 100% the same, but would be a great substitute! This fudge looks absolutely AMAZING!!! I can practically taste the cinnamon! Great products too! I have to try Cinnamon Syrup! Good luck! Oh, my! This looks amazing! Definitely the cutest fudge I’ve ever seen. Pinned! Beautiful presentation! I’m sure tastes awesome too! Oh my word!!! You have out done any fudge recipe I’ve ever seen. So pretty…. and seriously cinnabon addict right here! Oh my goodness. This fudge is amazing!! Wow, Aimee this is amazing. I think I might die and go to heaven if I eat it. And I need that syrup! Thank you Dorothy. You DO need the syrup. It’s amazing! This sounds amazing! A must try…thanks for sharing! 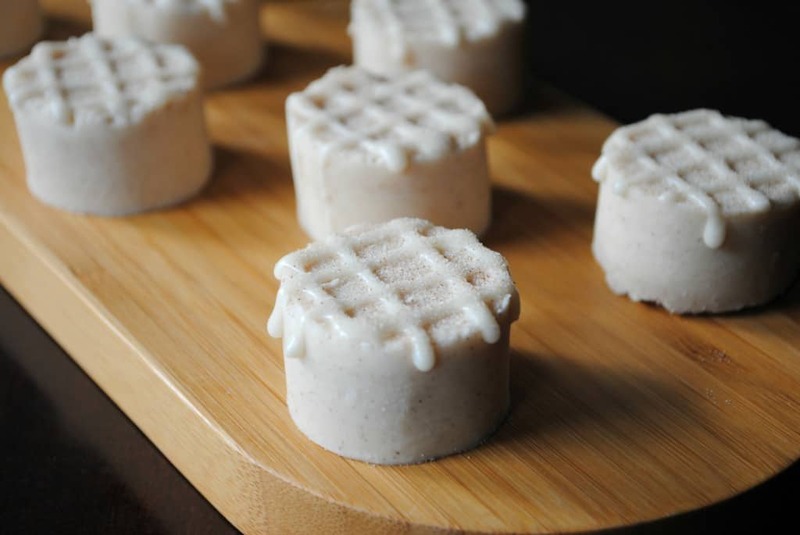 I’m definitely going to make these….they look delicious! Good luck! Oh my gosh! THIS looks just amazing. I read/stalk the Inside BruCrew Life blog and saw the post about your awesome time meeting each other. I’m positive you two had a blast that day. I have to admit being totally jealous that you live close to Jungle Jim’s!! I have wanted to drive there for over 15yrs now after a friend told me about it. She and I ‘met’ online also and lives in PA but she knew of that store from another friend. We always said we should meet up there but instead it was a meeting in MI since it was halfway. Anyway, I make lots of yummy fudge almost every single year during the holidays. I’ve been doing it for about 20 yrs now and only missed the past two yrs because of health problems but everyone looks forward to my goodies. This recipe looks awesome. Thank you. Thanks Vicki! Let me know if you try the fudge, YUM! Aimee! This fudge looks absolutely delicious. 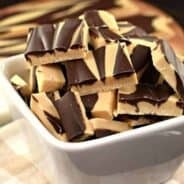 I am a sucker for fudge lately and am scouring the internet and cookbooks to come up with new ideas. Saving this one for sure, Who doesn’t love cinnabon?! i was lucky enough to get a sample when your hubby brought it into the office and wowzers was it ever yummy. i’m going to have to be on the lookout for that syrup now. Pam, so glad you enjoyed the fudge. It had to leave the house or I would have eaten it all, and not shared! Awesomeness! I can’t wait to buy that in my grocery store! Um…do I sit in it or do I eat it?! I know! I’ll sit in it and eat it! Those are Jim Gaffigan’s words for Cinnabons and boy was he right. But he’s never seen this, oh my gosh, running to store right now….pick me please!! Haha, this made me crack up!!! OMG! Just ran across this site while looking for something else and boy am I glad I came…I’m a big fan of anything cinnamon and cannot wait to try the syrup and sprinkles. Will they be selling at grocery stores or at their Cinnabon locations? 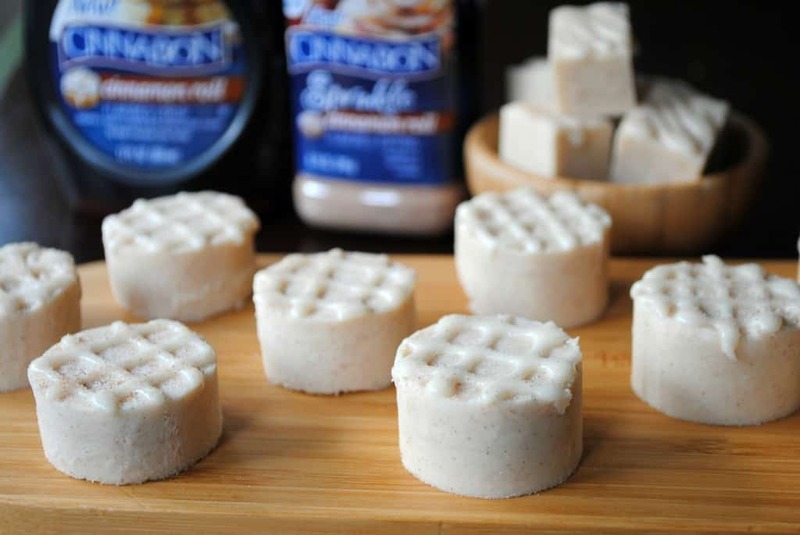 I was looking for a new fudge recipe and what could possibly be better than Cinnabon? Do you know what stores are carrying these great products? Looks delicious. I feel dense but I am not seeing the contest on their FB page. The contest was sent by email to select bloggers. I believe it ends on August 15, at which time they will announce a winner…keep fingers crossed! I can not wait to make this! It sounds so DANG GOOD! Oh, I hope these new products go nationwide. Soon! Ohhhhhhhhhh! I started drooling as soon as I read that recipe! Pinned it right away. I hope those products are going to be able to be found in my neck of the woods!!!!! Ohhh. Yummm. I’ve been craving some Cinnabon cinnamon rolls for a while now. I had no idea they had syrups and such. I am definitely going to have to try this recipe. Definitely pinning! and making (if the grocery store cooperates anyway). This fudge sounds delicious and looks just gorgeous! Say what?!?! This stuff seriously looks so delish! I would probably finish that all by myself! Saw this on Six Sisters, I’ve seriously gotta try this! Sorry it’s taken me so long to drop by and say THIS LOOKS SO INCREDIBLE!!!! LOVE, love, LOVE it! I am the “official” fudge maker in our family (On both sides)!! This will make my fudge lovers bow down to my feet!!! Thanks!! Ps. Shared on pintrest http://pinterest.com/pin/83527768059796898/ and facebook! Thanks for sharing! I think you should try this one, let me know if you do!!! Wow…that sounds amazing but very dangerous for my waist line! Would you consider linking this up at my Pinworthy Projects Party? I hope to see you there! 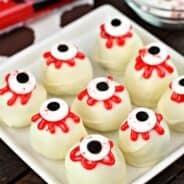 Aimee, you have so many delicious treats on your blog. I don’t know which one I should try first. Just stopping by to thank you for sharing this at my Throwback Thursday link party and I hope to see you again this week! Thanks for the feature Britni! This looks sinfully amazing yet dangerous!! Love it!!! I’d love to invite you to share this recipe at Mom’s Test Meal Monday’s! OMG what a great use of ingredients I say A+ for creativity! I wish they’d send me some of these goodies to bake with. Maybe I’ll get lucky & get a review later on. I love to create new recipes so this is right up my alley. Kudos to you for the recipe! Definitely need to try this, it sounds amazing!!! oooohhhh, this sounds delicious and dangerous! Definitely want to try this recipe out, thank you! I prefer chocolate fudge to white fudge. I wonder if you made regular chocolate fudge, then swirled in some of the Cinnabon sauce through it at the end? I bet that would taste great, too. This looks incredible! We don’t have a Cinnabon on the west coast of Canada, but I’ll have to find a way to make this recipe work. Can’t wait to try this! Using a combo of cinnamon/ sugar will work. And any syrup can be used too! ENJOY. Trying to find the sprinkles in Salt Lake City Utah so I can make these delicious treats – HELP! If anyone in the Wasatch Front knows where to get them locally, please advise. If you can’t find them no worries. Just make up your own by mixing granulated sugar with cinnamon. About 1 cup sugar to 2 tsp cinnamon. love your fudge recipe but if i don’t find marshmallow cream? Happy Saturday and keep on desserting!